Teachers have dismissed a civil service pay increment of 17,5% tabled by the government as nothing but a betrayal of workers. Progressive Teachers’ Union of Zimbabwe secretary-general Raymond Majongwe last week said that the offer was nothing and insisted on meeting President Emmerson Mnangagwa to apprise him of their conditions of service. Majongwe said after signing the internal settlement, the Apex leadership would be travelling with senior government officials to attend the International Labour Organisation Conference in Geneva Switzerland this weekend until June 10 to “toast their acts of deceit”. The government last week increased its salary offer for civil servants from 15% to 17,5% as a special civil service salary that covers basic salary, housing and transport allowances, which will be paid to the members of civil service with effect from July 2018. “Once again we are adamant that the teachers must demand their unions to forge unity. Nurses got their demands because they stood as a sector. We must do the same. 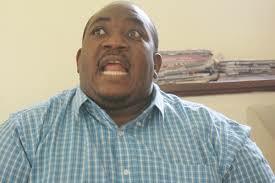 The government continues to negotiate with their darlings in Apex,” Majongwe said. He said they were still demanding to see Mnangagwa to dialogue with him on their position, as they are in touch with presidential special adviser Christopher Mutsvangwa, who is facilitating the meeting. Majongwe rubbished claims by Finance minister Patrick Chinamasa that the economy could not sustain any salary increase. “We have seen cars bought for chiefs and a lot of opulence and extravagance of unbelievable proportions. Must we be silent and suffer until death? No! We will fight to the bitter end,” he said. Zimbabwe Teachers’ Association chief executive officer Sifiso Ndlovu said he supported the push for sector-specific allowances.